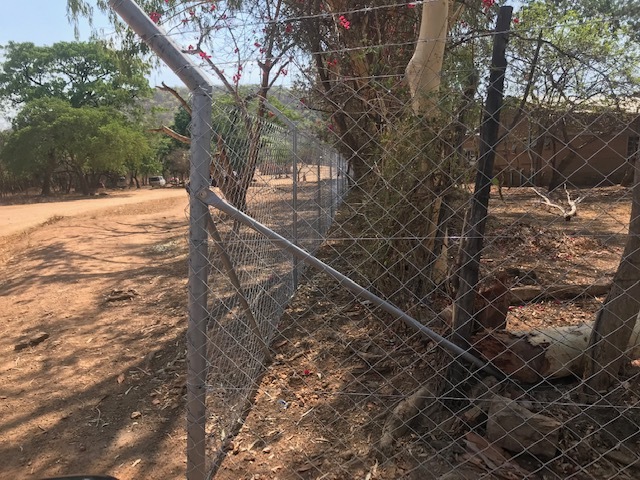 Exciting things are happening at Chidamoyo Hospital this week.We are having a fence put in at the hospital to keep animals and thieves out and control the visitors.We are also fencing off the diesel tanks where we keep diesel for hospital in and fencing my house to protect our vehicles that are kept there at night. We have not had any problems but with people so desperate we have seen the need to be preventive.The fence was paid for by RBF which we get for our work that is paid based on amount of work we do as well as quality and is used to improve the hospital.The Friends of Chidamoyo paid for the fence at my house to protect all the vehicles we park there at night, which is great.Thanks to all who helped with this. It has been a busy and exciting couple of weeks.In Zimbabwe from day to day we have to totally trust in God to help us through.Shortages in the stores or limits on how many you can buy continue in grocery stores.Yesterday I went to Chinhoyi for a nurses meeting and went to the store and found more items back on the shelves.They got their price increases so they started putting things out again. I saw sugar on the shelves (limited to 1 bag per transaction).Beans in a can was limited to 1.Bread was back after a raise from $1.00 to $1.50 and unlimited.Coke and other cool drinks were bank—some stores limiting, others not.No cooking oil, no regular margarine (butter $18/pound).And best of all fuel was available with no queues!I pulled right up and filled up!Wow, I felt like I hit the lotto.Just little things like filling up our tank makes us so happy!We take very little to make us grateful in Zimbabwe!